The forecast warns that today was the last day with no rain for a little while, so I tried to take advantage of that as much as possible. 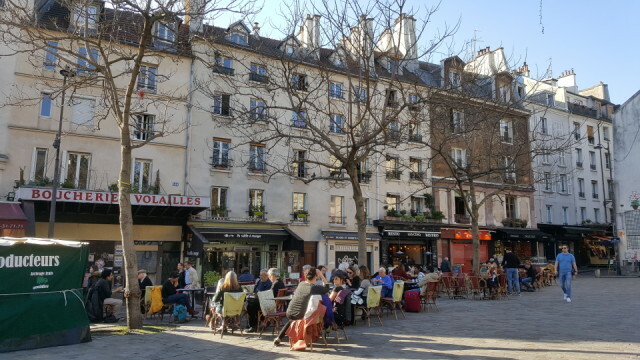 I went for a run in the Luco this morning and then for an afternoon walk down rue Mouffetard to place Saint-Médard, with a stop for a coffee at Le Comptoir des Arts and back along rue Monge. I worked at home otherwise and was pretty productive.